Stan was in charge of driving the little red steam engine, Butch. 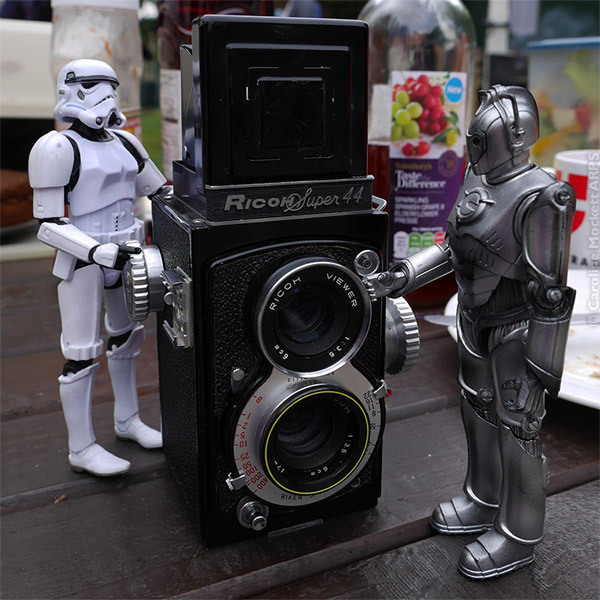 He was being very careful with it as he was just borrowing from a nice chap he met at the Geek Steam BBQ today – and didn’t want to break it. He wasn’t quite sure why the cab floor was carpeted with Astro-turf, but he was too polite to ask! The guys had a fantastic time and can’t wait to visit again next year. Boys will be boys – even robotic boys. Cyril and Stan are no different. When they were given the opportunity to drive the little red steam engine called Butch at the Geek Steam BBQ today, they jumped at the chance. Cyril was in charge of the brake lever. He took his duties very seriously! 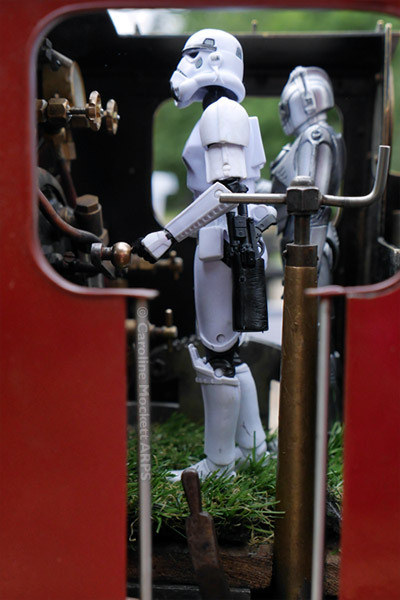 The guys found an interesting machine while they were at the Geek Steam BBQ today – not just the steam trains. They tried to figure out how it worked so they could take a selfie – but it didn’t seem to have a screen on the back to see what you are taking… They decided it must be some really advanced technology! 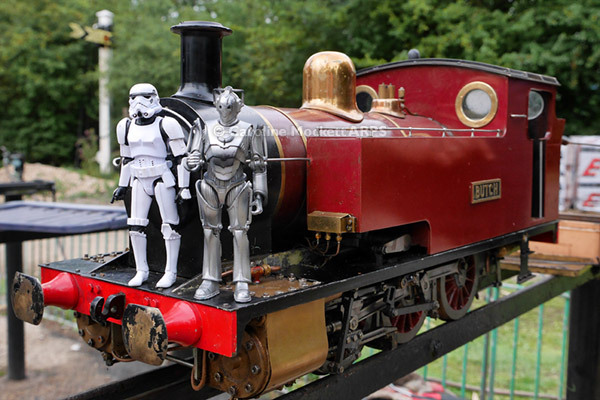 Today was the annual Geek Steam BBQ. 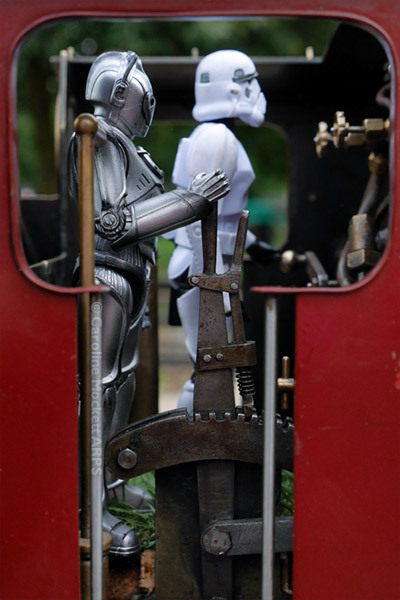 Cyril and Stan couldn’t wait to go along and play with the steam trains. 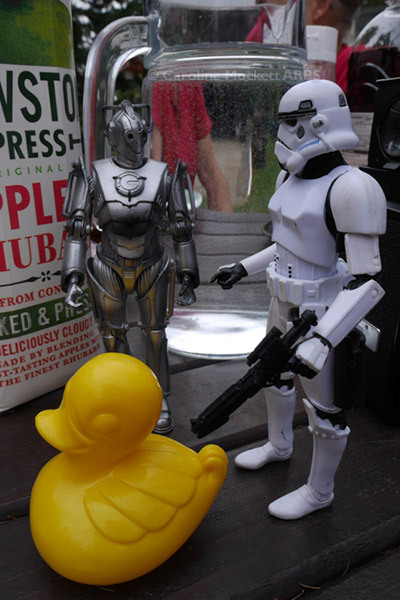 They were in for a surprise though – the infamous Mr Duck was in attendance and they have heard he is trouble. So decided to take him prisoner to prevent him causing any upset during the event.